Press the reset button and think “not yet” instead of "won't." How many times have you heard that it's time to spring into reading? Your child, however, still hasn't taken a confident step toward literacy. Well, this is a season of new beginnings, and maybe the timing will be right to press the reset button for your reluctant reader. One of the many great things about parenting is that you get to read kids' books, and there are so many great ones! There isn't a laptop out there that can compare to your lap, so bonding with books is a great introduction to reading. You can maximize this special time by sharing your own experiences with books. Try saying, "This was my favorite book when I was your age." No matter the reason your child isn't an engaged reader, this will get his or her attention. Or appeal to your child's kindness and say, "They didn't have books like this when I was growing up, will you read it with me?" The interests that are cultivated in the early ears can turn into lifetime passions. Me…Jane, a biography of Jane Goodall for young readers, tells how her interest in primates was inspired by a realistic stuffed chimpanzee she received when she was a baby. A book about dinosaurs or dolls, building blocks or bears, or rocks or rockets can spark a lifelong interest. And if your child only wants to read one topic, that's called developing expertise. Children are exposed to other topics and genres in school so don't worry. Don't underestimate the power of choice. 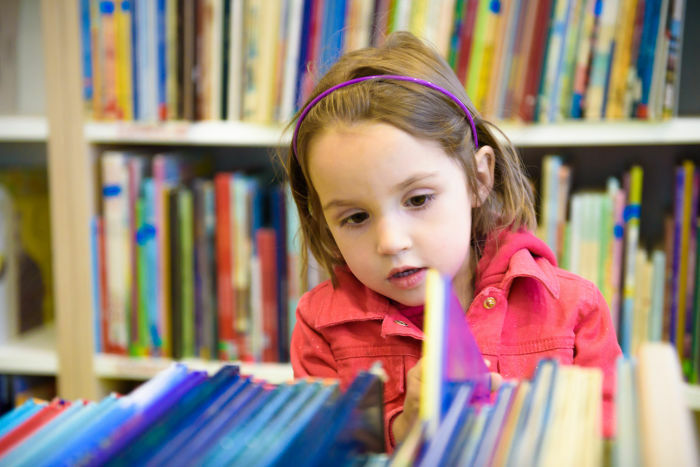 Researchers report that children are more engaged when they choose their own books. This always leads to questions about graphics, comics, and books that may not seem to be "good for you." First of all, humor is always a winner, so riddles make great first readers. I was introduced to the classics through comics, and as I matured, I wanted to read "the real thing." Remember, schools provide a lot of guidance and introduce children to great literature and compelling non-fiction, so you can encourage choice at home to get your resistant reader to feel in charge. If I could give every child one thing, it would be a library card. First of all, little kids like official things with their names on it. Second, it communicates that all of these books and media resources are available to them. And libraries have so many fun programs, such as summer reading and story time. Find out what's going on at yours. While you're there, meet the librarian or library media specialist. You'll have someone to make recommendations and guide you through the available resources. For children who are having trouble learning to read, some libraries have after school tutoring. Another option the library provides are audio books and e-books. There's something for everybody at the library! When our children start feeling too big for our laps, we may think it's time to bow out. But don't stop reading to and with your children, especially if they are struggling or not engaging. I can tell you from my own experience, kids don't outgrow reading aloud. Reading together can be a way of sharing the responsibility and helps you to get a sense of what's hard for your child. Also, children can understand text considerably above their level when you read to them, so select more challenging texts and “read up” to your child. For the reader who is having difficulty, you're opening a window on topics and texts beyond the child's current reach. You can also share the reading task by having your child "echo read"—read what you do after you, or by having your child "chime in" on a refrain like "Run, run as fast as you can, you can't catch me I'm the Gingerbread man!" So, as you press the reset button, think “not yet” instead of can't or won't. In that spirit, you may want to read the book Leo the Late Bloomer with your child. Happy Reading! Share with us on Facebook your family’s techniques for getting your child to read. For additional tips from Francie on encouraging reluctant readers, visit The Spark . Francie Alexander is the Chief Academic Officer at Houghton Mifflin Harcourt and an industry leader in the field of Literacy and Intensive Intervention for struggling students. She is a frequent spokesperson on education, literacy and parenting and has authored more than 40 children's books including Curious George Readers. Francie was the 2016 recipient of the Los Angeles Universal Pre-K (LAUP) Child Advocacy Award.